Pictures 14B-4, 14B-5, and 14B-6. Cars 200-203 were built in 1904 by St. Louis Car Co. (order no. 438). 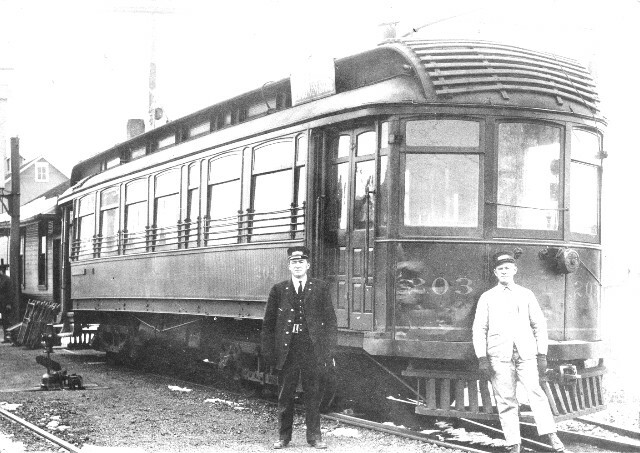 These cars seem larger than their predecessors on the ITS; they were really interurban cars, rather than glorified city cars. However, after a few years, they too were superseded on the main line by larger and heavier cars, and were assigned to serve the branch lines. Car 203 succeeded 134 on the Ogden-Homer line. In the top picture, we see the car at Ogden in the siding leading to the Homer branch, waiting to meet the through car between Champaign and Danville. 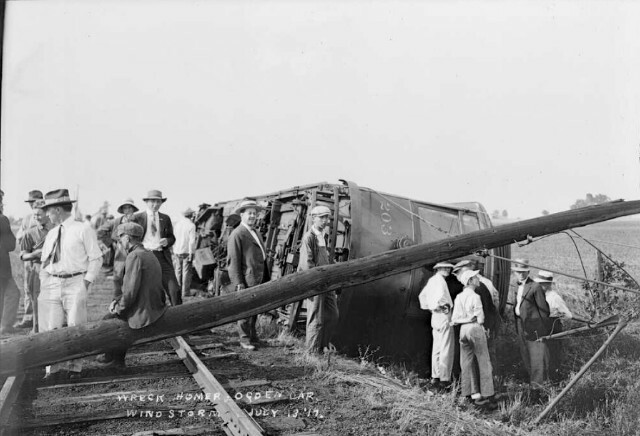 The middle picture shows the result of a violent wind storm that blew car 203 off the tracks on the line between Ogden and Homer on July 13, 1917. 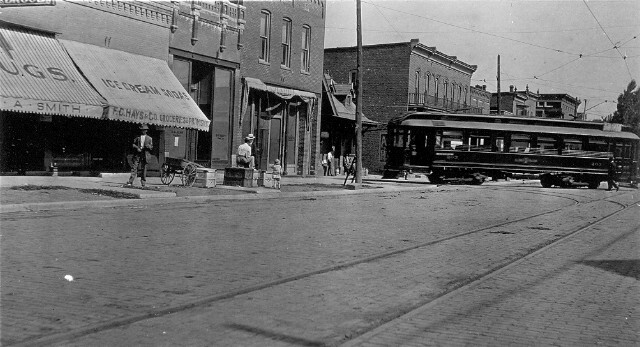 The bottom photo shows the car pulling into the Homer depot, c. 1915.